This holiday season we’ve talked a lot about shopping local, about supporting small and mid-sized businesses located in our communities. We even worked with small businesses across the area to put together our first Shop Local Shopping Guide, which even has some special offers in it for our readers. Today we continue that effort with a spotlight on Covington’s historic MainStrasse Village. MainStrasse is home to lots of great businesses and resources for gifts this holiday season. Have a music lover at your house? Then you’ll want to stop by Mike’s Music. From vintage guitars to amps and supplies, Mike’s has just about everything you could imagine for the music lover on your list. Need to pick up candy to fill your stockings, or perhaps you need a unique gift for your child’s teacher or a co-worker? Stop by The Candy Bar. Not only do they have a HUGE selection of candy, but they also sell themed candy baskets and other items at really affordable prices. Last year we gave several of our friends candy boxes filled with candy from the 1960’s and 1980’s and they were around $20 each! You can read more in this post we wrote last year. Looking for collectible items from around the world or perhaps searching out some nostalgic toys? MainStrasse’s Linden Noll Gift Haus is a must stop. You’ll find everything from Beer Steins, Nutcrackers and Nativities to Bears, Christopher Radko and lots more. Know someone who loves coffee? Pop by Groove Coffee House and check out their cute coffee gift packs, with prices starting at just $15 and that includes 1/2lb of coffee and a reusable mug or drink glass. They have lots to choose from – tea themed, coffee themed, etc. Shopping for a princess or fairy this year? Stoney’s Gift and Frame Shoppe has you covered. From a huge selection of Melissa & Doug, to fairy & princess skirts, you’ll find all things girl here. Have a furry friend on your gift list? Then you definitely will want to stop by The Strasse Dog. Not only do they have a huge selection of dog toys, clothes and other items, but they offer grooming services. What pooch wouldn’t love a gift card for a day at the doggie salon?? Perhaps your friend is a “foodie.” How about a gift card to one of the many delicious restaurants in MainStrasse? You’ll have plenty of options to choose from including Dee Felice (Ricardo’s Ravioli is ridiculous! 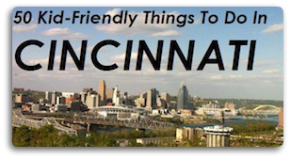 ), Otto’s (the BEST fried green tomatoes), Bouquet Restaurant and Wine Bar & Europa. Need something personalized? Head to MK’s Totebags and Monogramming. You can pick up lots of customized items like embroidered baby blankets, beach towels, purses and great lunch totes, too. Kudos to Shannon for showcasing our Village!! !